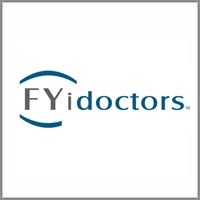 Welcome to FYidoctors – Ladysmith! Whether you’re looking for a comprehensive eye exam, customized lenses or the latest in designer frames, our goal is to provide you with a quality eye care experience. Let us help meet all of your vision needs. Here at FYidoctors – Ladysmith, we’re proud to be a part of one of Canada’s fastest growing eye care providers, with over 260 FYidoctors locations across the country. We know eyes best because we’re owned and operated by Doctors of Optometry. Come visit FYidoctors – Ladysmith today and let us take care of all your vision needs. New patients are always welcome!